Not very good pics, but they get the point across. Also, I collect a lot of DOR animals. I at any time probably have at least 50 dead snakes on hand for feeders. 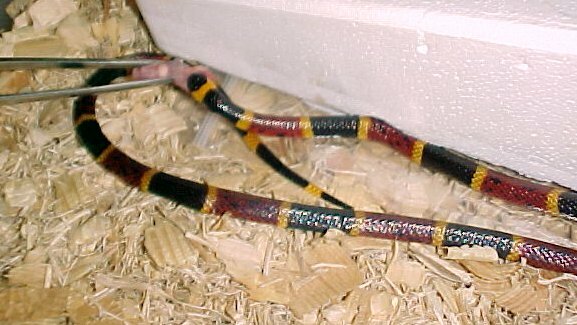 I still feed snakes to my coral snake, but I feed it pinkies also.